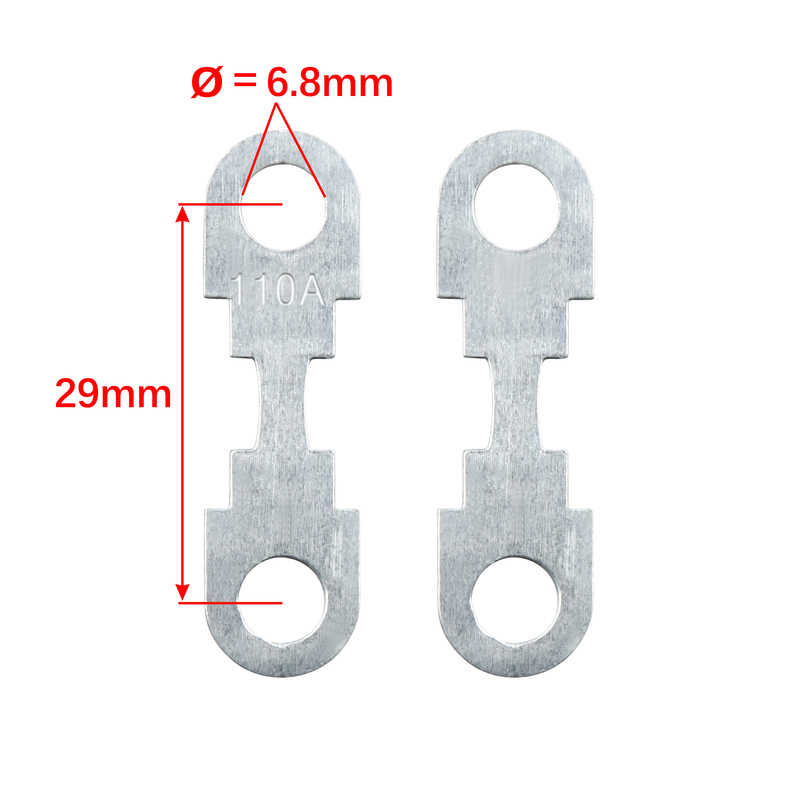 The fuse measures 42mm in overall length, and the distance from center-to-center of the stud holes is 29mm. The diameter of the stud hole is 6.8mm. The thickness is 0.8mm. For protection of equipment with high rated currents against short circuits. Please check the size measurement and the picture carefully before making payment.